Jianqi Qin has been awarded the Fred L. Scarf Award. He was formally presented with the award at the 2014 American Geophysical Union Fall Meeting, held 15–19 December in San Francisco, Calif.
Jianqi Qin has been awarded the Fred L. Scarf Award. This award is given to an honoree in recognition of an outstanding dissertation that contributes directly to solar-planetary science. 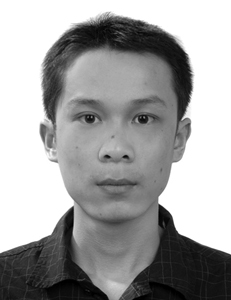 Qin’s thesis is entitled “Numerical modeling of the inception, morphology and radio signals of sprites produced by lightning discharges with positive and negative polarity.” He was formally presented with the award at the 2014 American Geophysical Union Fall Meeting, held 15–19 December in San Francisco, Calif.
Jianqi received his B.S. and M.Sc. in physics from Nanjing University in 2006 and 2009, respectively, and received a Ph.D. in electrical engineering from the Pennsylvania State University in 2013. He is currently working as a postdoctoral scholar in electrical engineering under the supervision of Victor P. Pasko at the Pennsylvania State University in University Park. His research interests include computational plasma physics, atmospheric and space electricity, and gas discharge physics. Citation: AGU (2015), Qin receives the 2014 Fred L. Scarf Award, Eos, 96, doi:10.1029/2015EO028051. Published on 14 April 2015.